Live video conferencing is starting to become more widely adopted in the enterprise, but many organizations are looking to go beyond live streaming and want ways to store and reuse the videos they’re creating in their broadcasts. 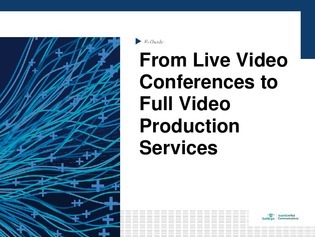 In this expert e-guide, we examine the rising demand for not only live video services and platforms, but video production services as well in light of expanding video use cases. Find out how businesses are taking a page out of YouTube’s book and learn about the growing demand for fully managed video streaming and production services.